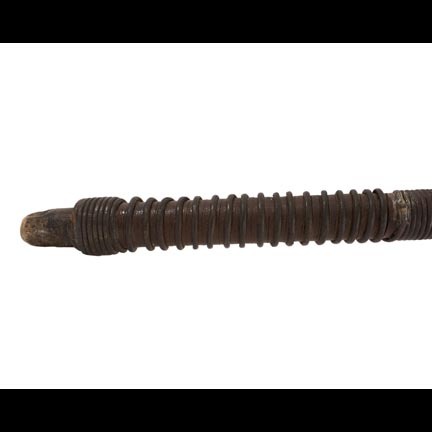 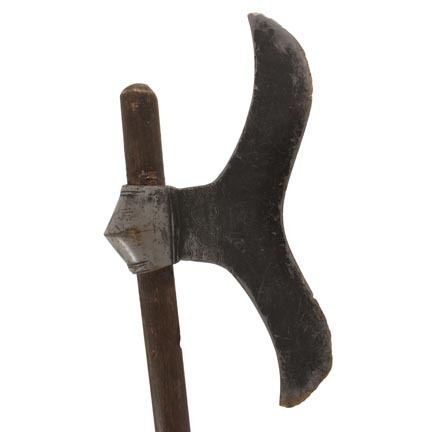 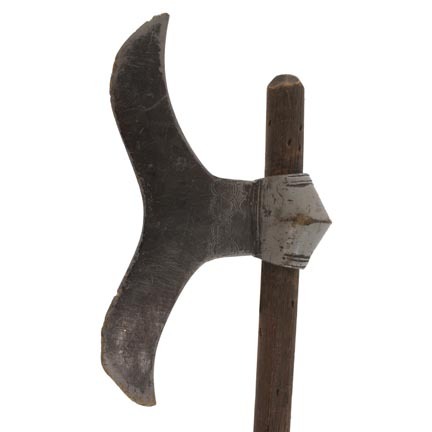 This prop martial arts pole ax was used onscreen by a background "Evil Ninja" character in the 1997 motion picture “Mortal Kombat: Annihilation”. 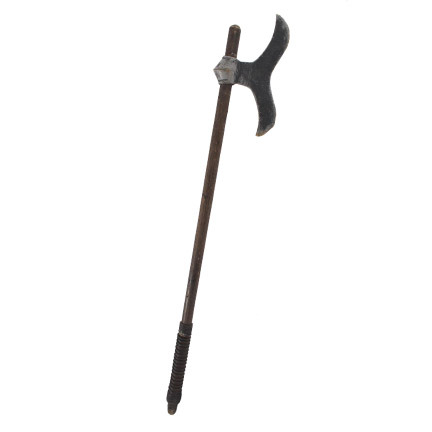 This was one of a limited number of prop weapons that were custom made for use on the production and the item is constructed of a wooden haft with rubber coiled grip and dense rubber axe head with ornamental designs on the blade. 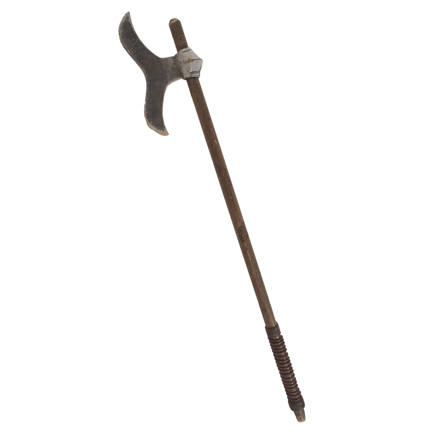 One of these pole axes first appears prominently onscreen near the opening scene where the evil Outworld forces of “Shao Kahn” (Brian Thompson) drop out of the sky and wreak havoc on the temple where “Liu Kang” (Robin Shou) and the other Mortal Kombat heroes reside. 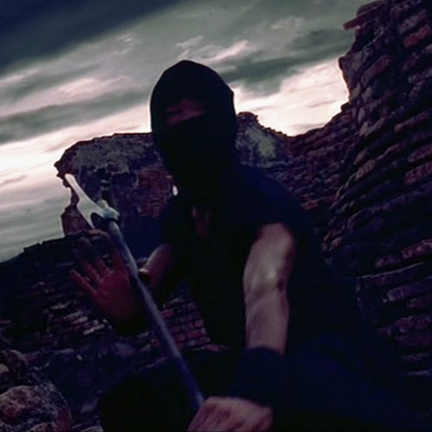 One of the ninjas is clearly seen wielding his ax as he lands on the ground and is again seen brandishing the weapon in a following scene behind “Sonya Blade” (Sandra Hess) as she and Liu Kang witness the arrival of more of Shao Kahn’s forces. 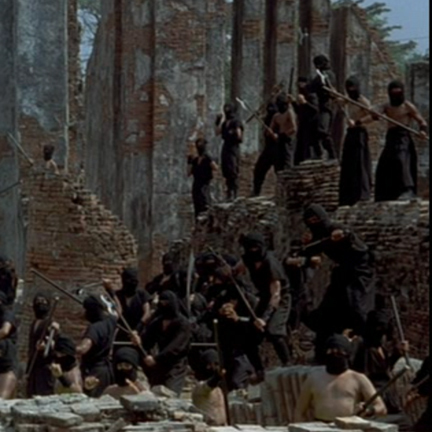 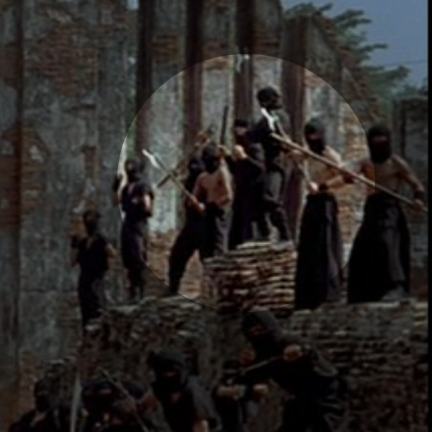 Additional ninjas appear wielding these axes in numerous other shots during the ensuing confrontation, and then in several other sequences later in the film. 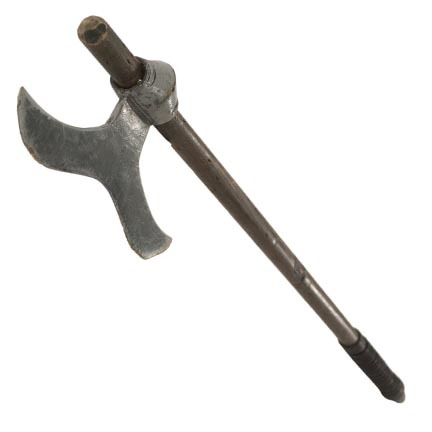 The prop weapon is in good hand distressed condition as seen in the film and is accompanied by a letter of authenticity.